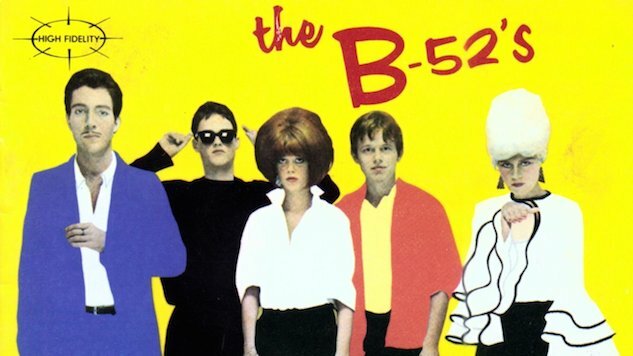 The B-52’s are American New Wave royalty and in 1980, they were at the peak of their powers as a band. Their eccentric blend of ’50s garage pop and surf-rock, ’60s Motown, ’70s art-punk and cutting-edge New Wave was wildly unique and appealed to both the underground and the mainstream. Though best known for their surfy 1978 single “Rock Lobster,” the B-52’s had several Gold and Platinum albums at home and abroad. Bands like the B-52’s and R.E.M. also helped transform their hometown Athens, Ga., from farm town to a thriving, influential music hub. In 1980, the B-52’s had just released their second studio album, Wild Planet—a follow-up to their 1978 self-titled debut. The album was quickly certified Gold and critics had deemed it a solid sophomore release. On this day in 1980, the band performed their second album in its entirety and most of the first record at New Jersey’s Capitol Theatre. The show was part of their first headline tour and it also featured the band’s original lineup—Cindy Wilson (vocals, percussion), Fred Schneider (vocals, keyboards, glockenspiel, various toys), Ricky Wilson (guitar), Kate Pierson (vocals, keyboards, bass) and Keith Strickland (drums). That night, Cindy Wilson and co.—famously tall beehive and all—vibrantly and confidently ripped through some of the band’s greatest material—”Private Idaho,” “Rock Lobster,” “52 Girls” and more. Watch the B-52’s full performance on this day in 1980 below.